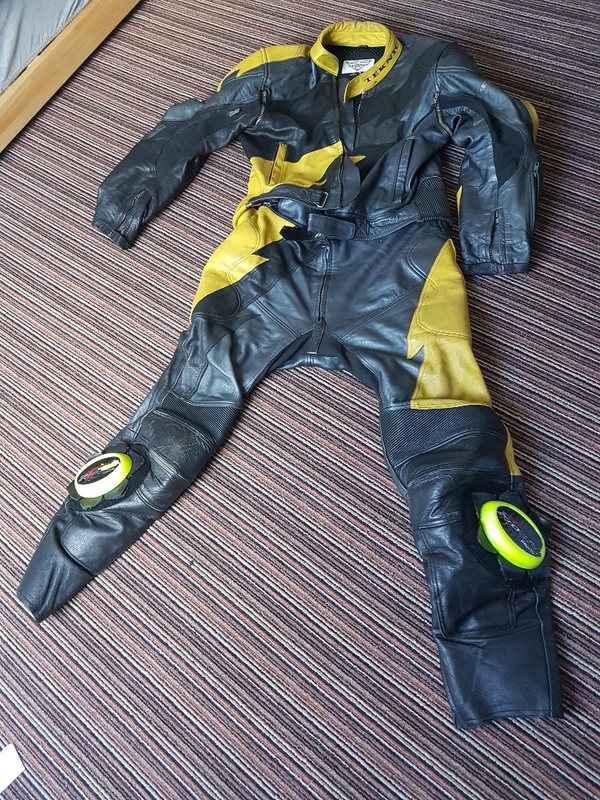 2 piece Motorbike Leathers. Teknic. Says size 46-56. I'm a large and they fit me fine. 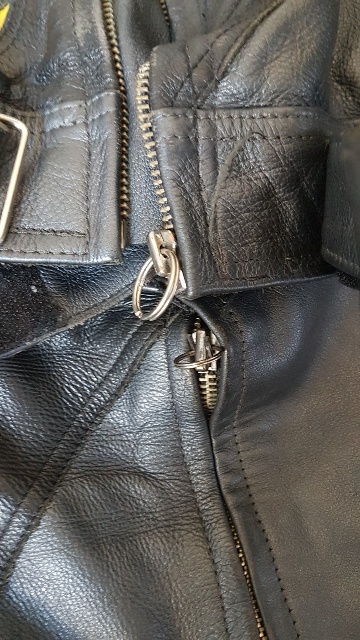 Zips on top and bottoms both work fine but I've had to put keyrings on to grab hold of the zip.